DAN Dive Insurance covers you wherever in the world you dive. All AMD-B clients are covered by our V-Insurance Group ‘PADI Asia Pacific Dive Injury and Evacuation Insurance for Customers and Students’ while diving with us in Bali. 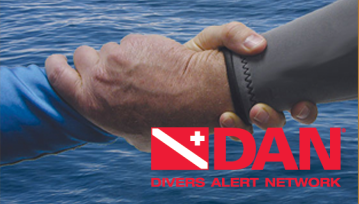 In addition, we strongly recommend DAN Diver Insurance to cover you wherever in the world you dive. All AMD-B staff diving for AMD-B outside Bali, carry DAN Insurance. DAN offers comprehensive short-term protection plans ideal for your diving trip. The options are: 10 Days (USD40) and 30 Days (USD50). To register, please contact us and remember to include your full name, date of birth, email address, phone number and country of residence. For full, worldwide coverage, DAN has their Annual Membership Insurance. To register, please click the below button.